It is 41 inches size general purpose type umbrella diffuser. 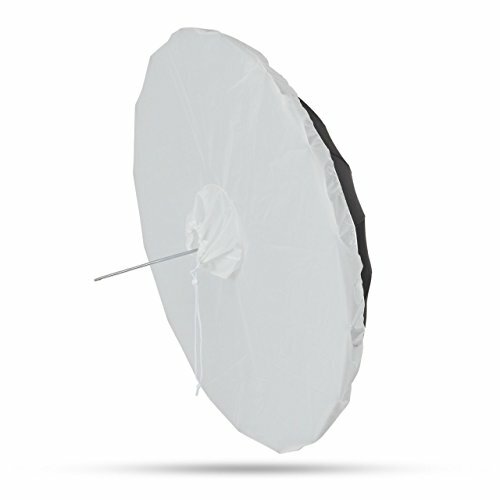 It is a diffuser used by covering the irradiation surface of the umbrella. It is available in 3 sizes of 40 inches, 41 inches (deep type), 43 inches. Diameter of opening 8 inch. You can use the flash that enters this size. # Umbrella is not included. If you have any questions about this product by UNPLUGGED STUDIO, contact us by completing and submitting the form below. If you are looking for a specif part number, please include it with your message.